At A Desert Coffee Pop-Up In M..
A Guide To Great Coffee In Ber..
At the 25th Annual Worldwide Developers Conference, Apple did without a new gadget-launch and instead dedicated its Keynote to the ones that make those i-Gadgets really shine: the developers themselves. Coffee has its own sleek white gadget, and it’s called the Acaia Coffee Scale. It has fancy white LEDs and a streamlined interface, and freaking Bluetooth connectivity to iOS devices. We think it’s high time that developers take notice, because this thing could go places, especially if geeks write some code to drive it there. The Acaia scale runs for $129 and comes equipped with an app for iOS and Android. The Acacia app has been developed to highlight many of the benefits of having a Bluetooth-enriched scale (real time weight on your tablet, instant chart generation, user-built brew guides) but the beauty of the Acacia is that the possibilities for making cool apps for this thing are virtually limitless. The imagination is the only limitation to creating a truly universal and outstanding app for a kitchen scale. Here are four ideas for some budding developers to write, conveniently classified by target audience. Imagine an app that tells you not only what the perfect recipe for the chewiest, gooeyist chocolate chip cookie is, but also an app that’ll tell you when to stop pouring the flour in the bowl. With the Acaia scale, you can build an app that can read in real-time the weight of individual ingredients for a recipe and guide the cook/baker throughout the process. This application would be a perfect teaching tool for kids. 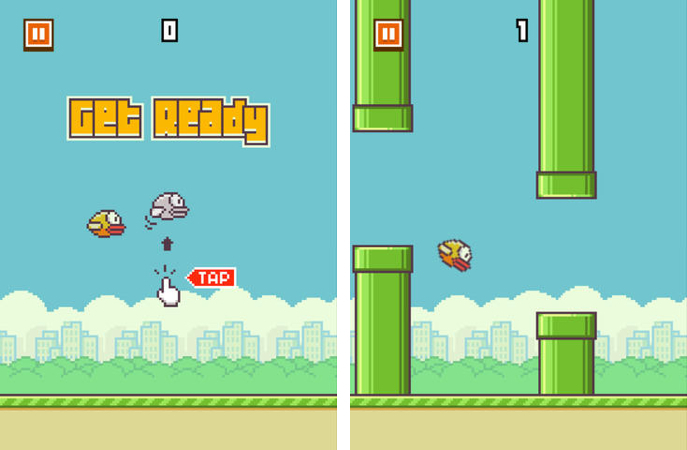 Dong Nguyen’s too-hot-for-the-app-store sensation Flappy Bird would be a perfect tie-in for the Acaia scale. The user could tap the scale, for example, which would be cool – but what about a FlappyBirds that required the player to brew a coffee with precisely timed pulse-pours of water to keep their bird on track? Genius, right? Right? An app for competition enthusiasts, featuring brew parameters for all of the Aeropress Champions, Brewers Cup Champions, and an opportunity to compete against your friends in REAL TIME for the best brew. Tie this app in with the Extract Mojo for TDS analysis and get real nerdy. Coffee and ambient music enthusiasts go hand-in-hand, so it only makes sense to build an app that blends the two together. Acaia could be used as the controller for a drone mind-melter synth app that creates sound as you brew. The sounds can get louder/weirder if the user pours faster, or slower, or when they hit certain weights – who knows! The options are endless. No matter what, the Acaia scale is rad. But it’s just the beginning; it’s a key that’s ready to unlock a door that leads to a room you didn’t even realize existed. The technology is out there, the developers are hungry, the geeks are thirsty, and everyone is wiggling. Are you ready?